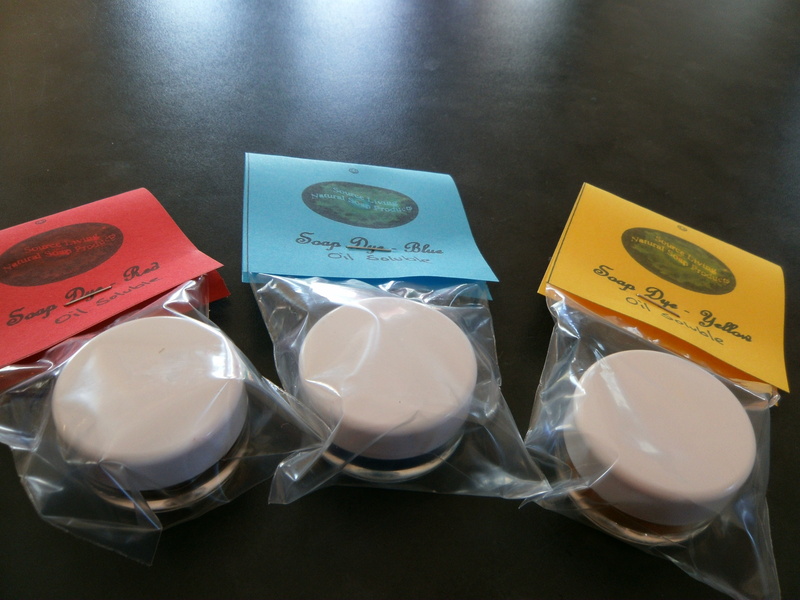 Set of 3 Soap & Candle dyes to enable you to make the colour range. Belnd blue and red to make purple, yellow & blue to make green, and red and yellow to make orange. 1gm pots that colour 20-30kgs of soap each. Can be used in cold process soap making or use with soap bases, and for dying candles.